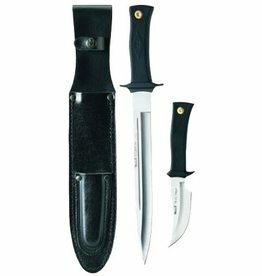 Muela knives are great for Hunting and Outdoor use. 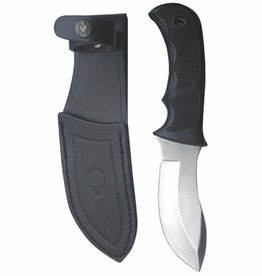 They are the number one choice for many Outdoor Enthusiasts because they're practical and affordable. 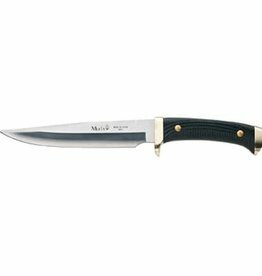 Muela Knives are custom spanish hunting knives that have been made by the Muela family for generations, and utilize tough Moly-Vanadium stainless steel. 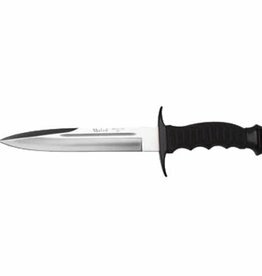 Each Muela Hunting Knife is handsome as well as functional. 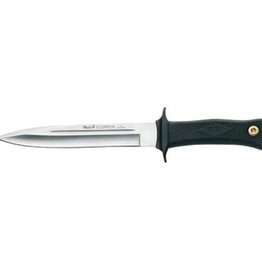 Muela of Spain produce reliable and durable knives that have strong piercing blades and failsafe grips. 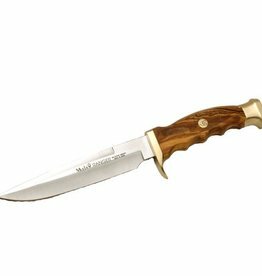 Knife with olive wood handle and brass pommel and handguard. Handle 125 MM(4 7/8”), blade 145 MM(5 5/8”) and weight 185 GR. 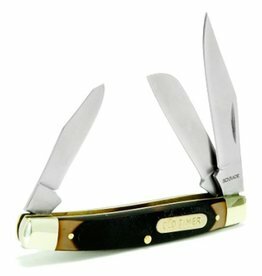 The Muela "Sioux Skinner" has a one piece 440 stainless steel blade. 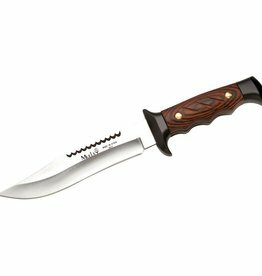 It has a leather sheath included and is 213mm in overall length.